PokePrincess had the most liked content! 1.I see some people having a "Thing" after they post, like a signature.How do we put it? 2.What is the cover photo dimensions? 3.How do we get the trophies and medals? 4.Why am I always listed as a new member when other people who are newer than me are not listed as new member? After seeing this, I felt that shiny celebi was legit.However,when I made my celebi shiny,it was illegal.Can someone send me the shiny celebi file?Thanks. 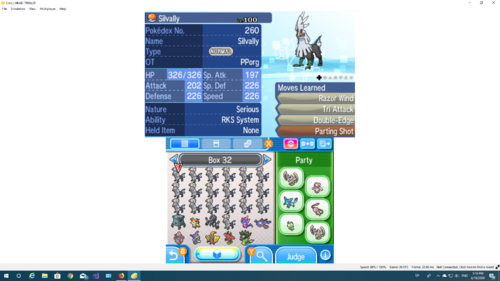 PS:Will I get banned if I get myself shiny meloetta? As for Korrina,I find her the brave kind like for me,I do not skate as I'm too scared.Anyway, I like her design.I won't say that I like her for people say I am childish when I say so but actually, in truth, I like her alot.As for wearing pants,I had a brother and my family wasn't rich so I had no choice but to wear them.I had a younger sister afterwards and my parents bought her new skirts and dresses.I secretly made her like pokemon so that she would ask my parents to get us pokemon games but they said no,pokemon was out-to-date and lame.Yes, they said that. My parent were the outdated kind.I was told that pokemon was DEAD.The pokemon were pixels in the games. (They must have been talking about the old ones)I just watched the anime.At any rate,I had watched almost every pokemon episode.I tried getting a pokemon X.I was impatient and never played till post-game.I was told about once you beat the champion.You'ld have to restart.I was like,Whatever.Waste of time.One of my friends told me about this site a few years later.By then,I was no longer interested in Pokemon.Then came pokemon GO.There was no pixels or restarting.I was pleased.Then, I was banned for NO reason.Then I got back to X and finished up.I suddenly remembered about this site , joined and set up an account.I also joined Ultra Moon and used citra as I found the game prices high.When I was playing Ultra Moon,my X got stolen.I downloaded save files and play X on PC.I found many X glitches so I am back to ultra moon now.Short history.